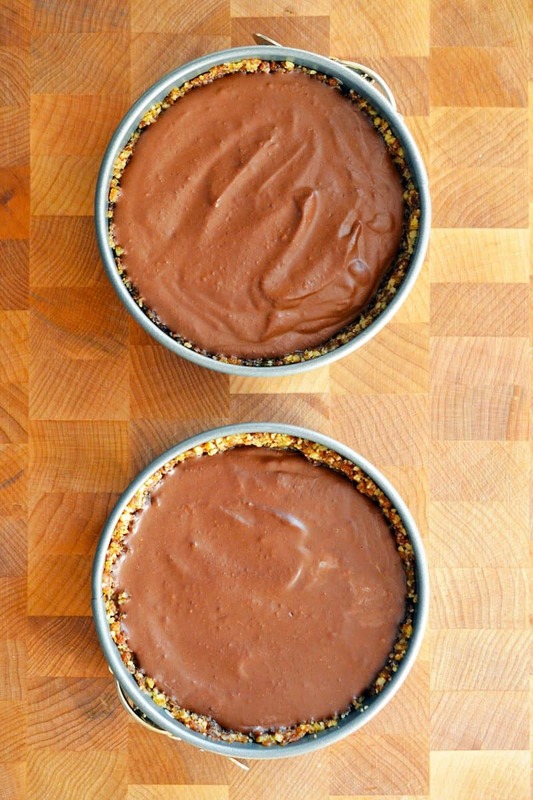 Time for Kelly Brozyna’s Paleo Chocolate Pie + Raw Graham Cracker Crust! I thank my lucky stars for Kelly Brozyna. 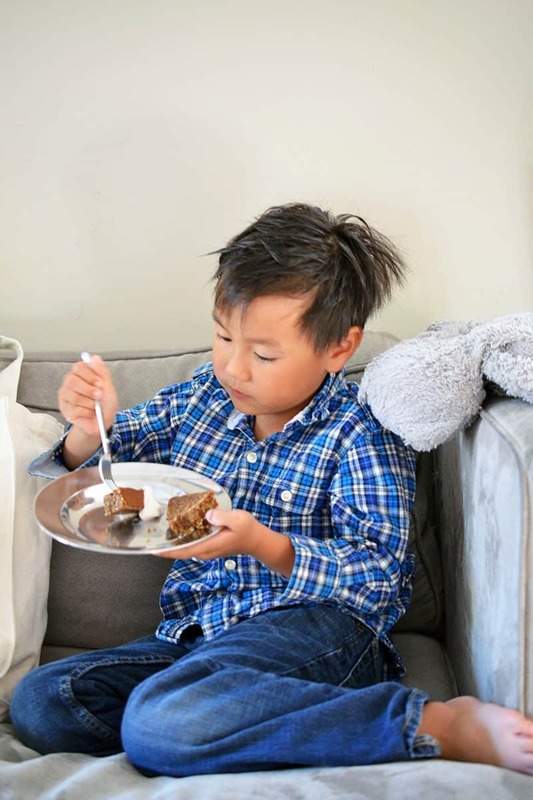 Super-mom, blogger, and author of numerous cookbooks, Kelly adopted a gluten-, dairy-, and refined-sugar-free diet almost a decade ago to deal with a multitude of serious health issues in her family. Later, when she took her family one step further—from gluten-free to grain-free—their health went from pretty good to awesome. I’ve long been a fan of Kelly’s blog, The Spunky Coconut. 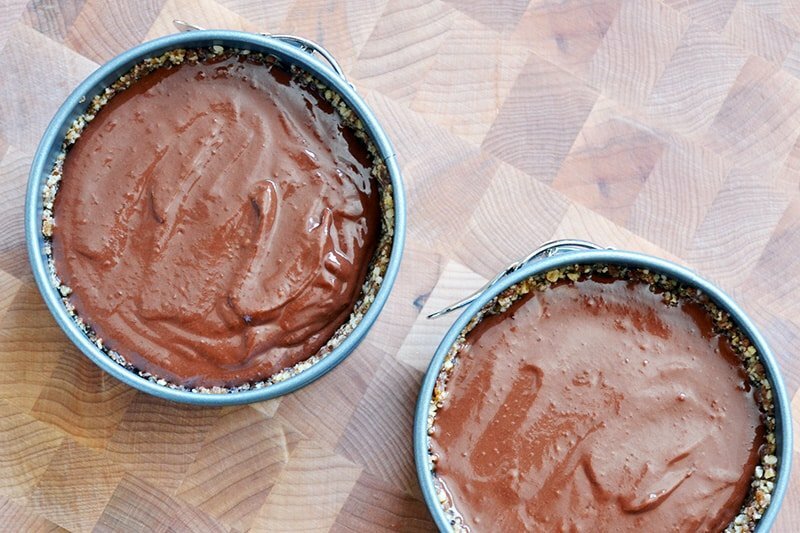 Her recipes—and especially her dairy-free frozen treats—are incredible. But what I admire most about Kelly is that she puts family and fun first. I loved tagging along on social media as her family drove from Denver to their new home in Southern California. And I’m excited to “meat up” with Kelly and her clan when she’s in the San Francisco Bay Area next month. 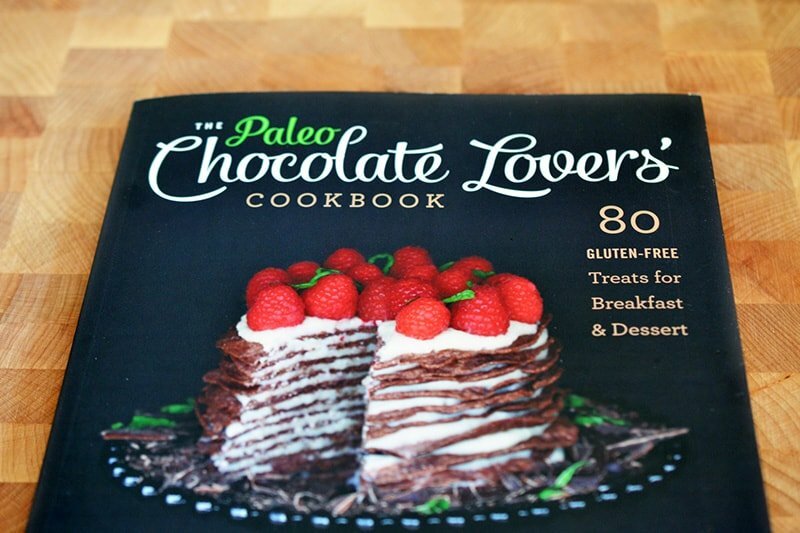 She’ll be in town to promote her beautiful new tome, The Paleo Chocolate Lovers’ Cookbook. 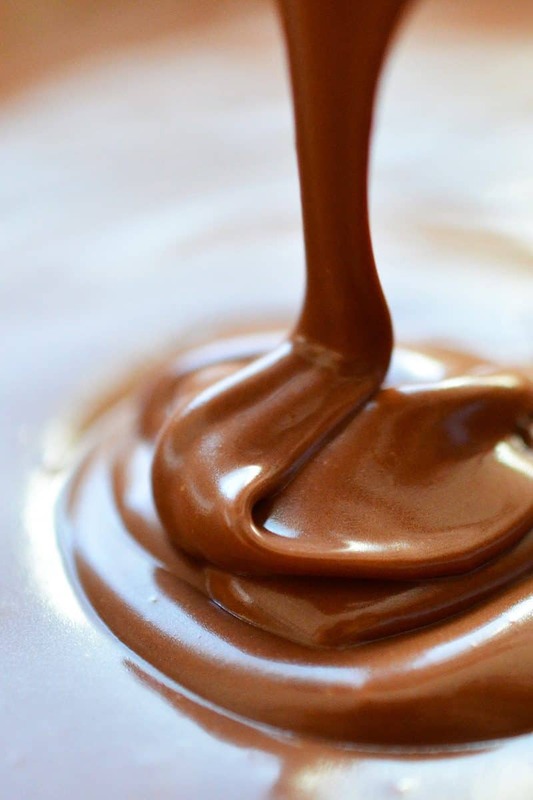 Filled with page after page of inventive and gorgeously photographed chocolate recipes, this is the definitive guide for real food enthusiasts with a cacao fixation. In other words: me. Concocting Paleo desserts isn’t my strength, but clearly, Kelly’s been perfecting her craft for many years. 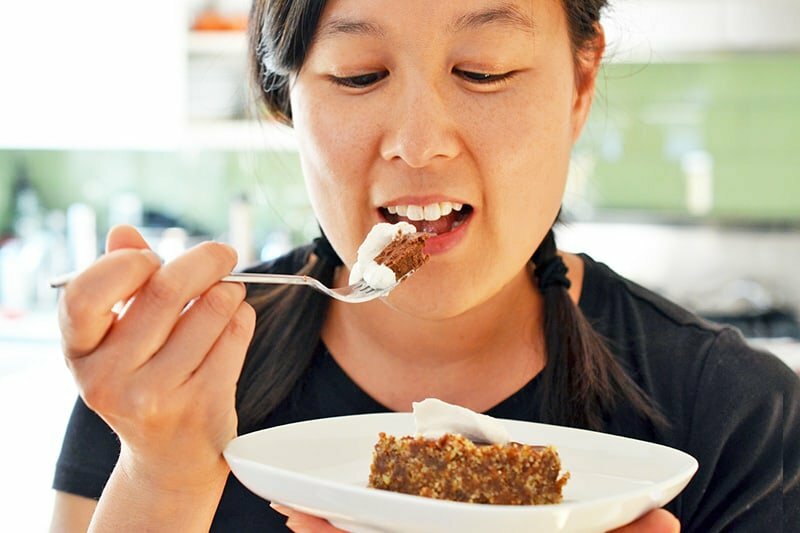 Her Paleo dessert pantry includes a few new-to-me ingredients like liquid stevia, hemp milk, walnut flour, and chia meal—all of which I’m eager to play with as this holiday baking season approaches. 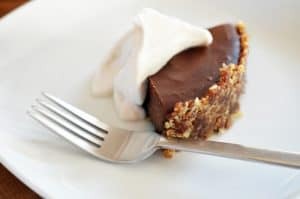 But I wanted to make something from Kelly’s book now, and because I didn’t have all of these ingredients on hand, I chose a eye-popping recipe that I could whip up with items already in my pantry: Paleo Chocolate Pie with Raw Graham Cracker Crust. 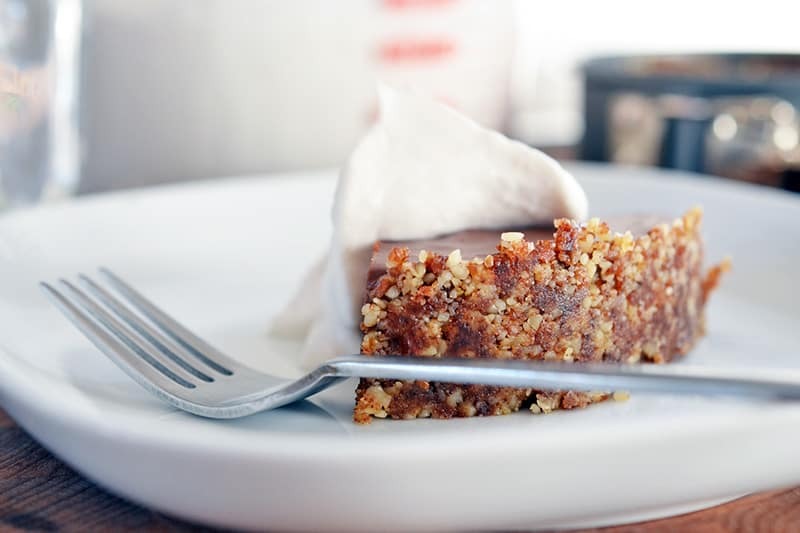 I loved that it was so simple to make—just a little chopping, melting, and blitzing—but admittedly, I was a bit skeptical about how this dessert would turn out. After all, the only ingredients are walnuts, Medjool dates, cinnamon, coconut cream, coconut oil, dark chocolate, vanilla, and salt. Hmm…no honey, maple syrup, or coconut sugar? But my fears evaporated as soon as I dipped my finger in the pie filling and gave it a taste. Wowza. In fact, I was able to crank out two mini pies in no time at all, and the results were deliciously decadent. 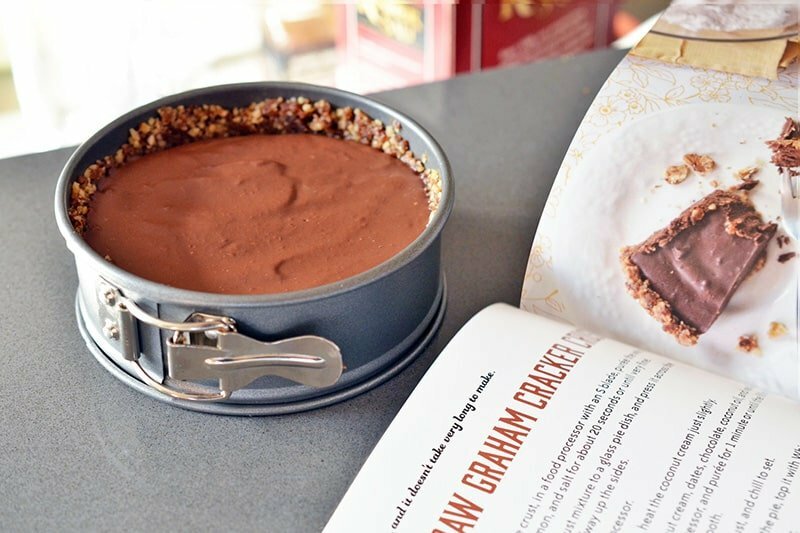 It was like eating a chocolate truffle in a nutty graham cracker crust. 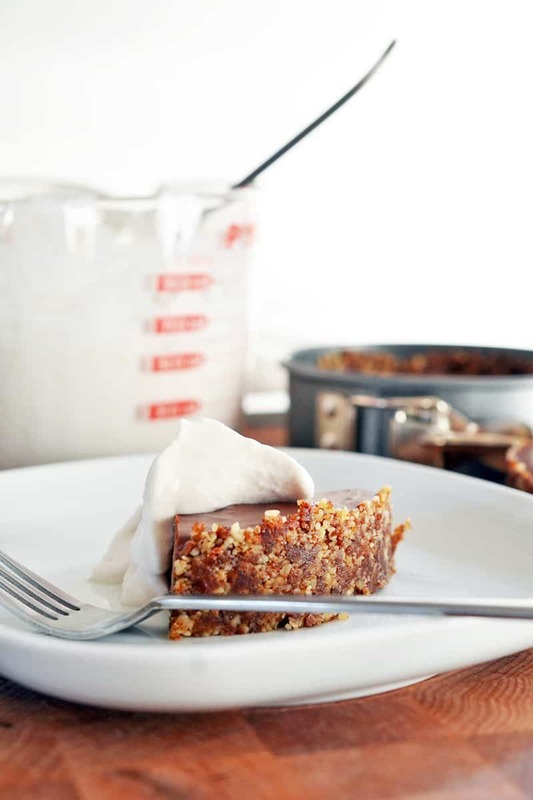 If you’re cool with using a microwave (which I am), this recipe is even simpler ’cause it means the chocolate, coconut oil, and coconut cream can be melted/heated in a jiffy. After I posted a picture of my finished Chocolate Pie on Facebook and Instagram, I was deluged with requests for the recipe. But because it’s not mine to share, I wanted to first ask for Kelly’s permission. Lucky for you, she said yes. You’re welcome! 2. 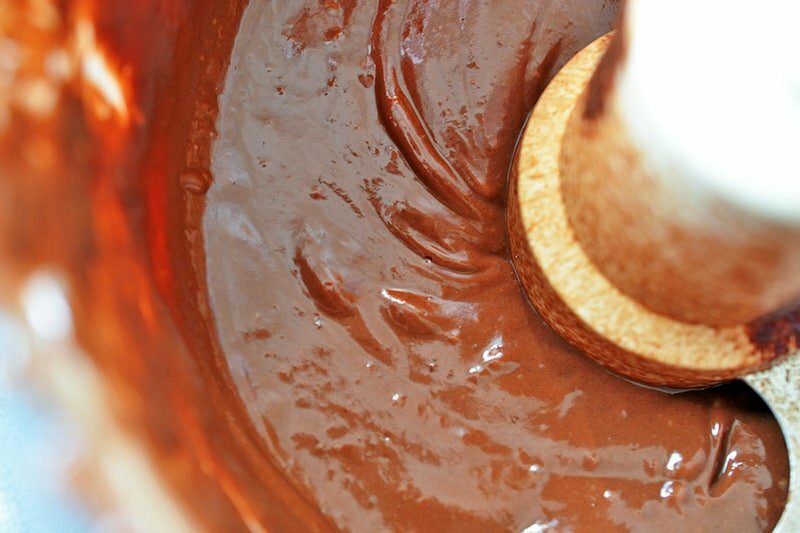 Transfer the crust mixture to a glass pie dish*, and press it across the bottom and halfway up the sides. 4. In a small saucepan*, heat the coconut cream just slightly. 6. When you’re ready to serve the pie, top it with whipped coconut cream. 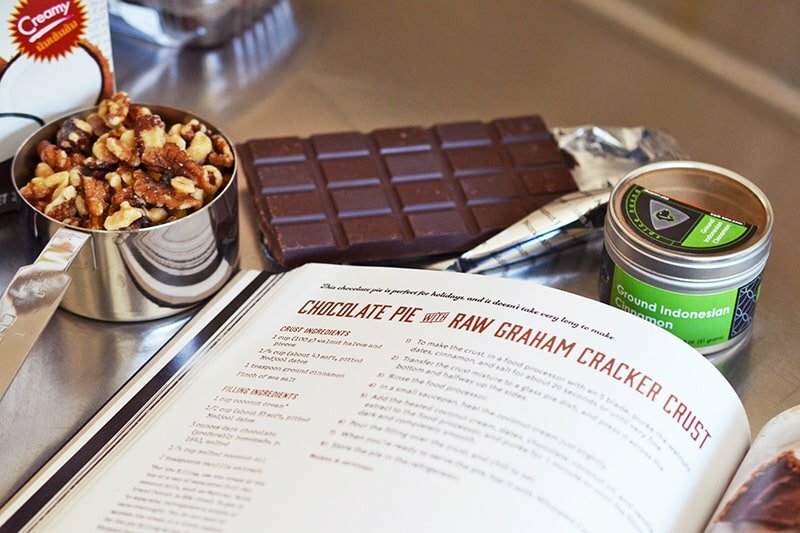 Trust me: If you love chocolate, you’ll dig Kelly’s book. A lot. 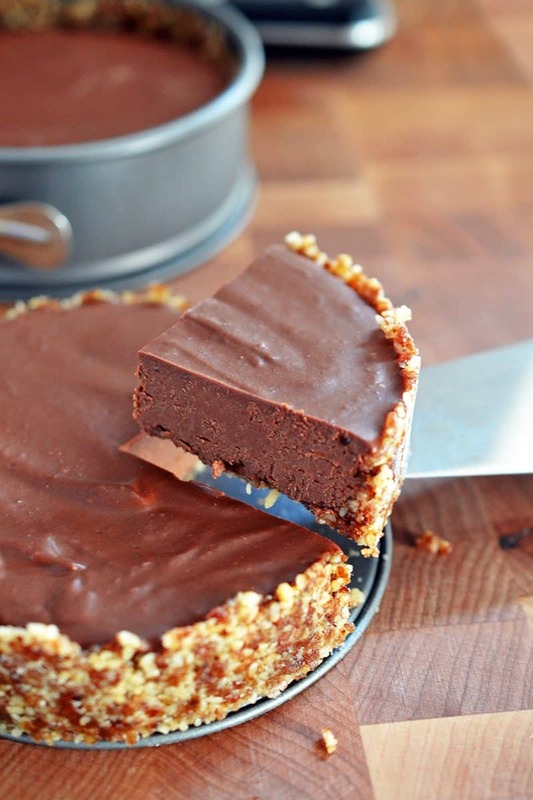 Looking for a delicious grain-free Paleo Chocolate Pie with a Raw Graham Cracker Crust? 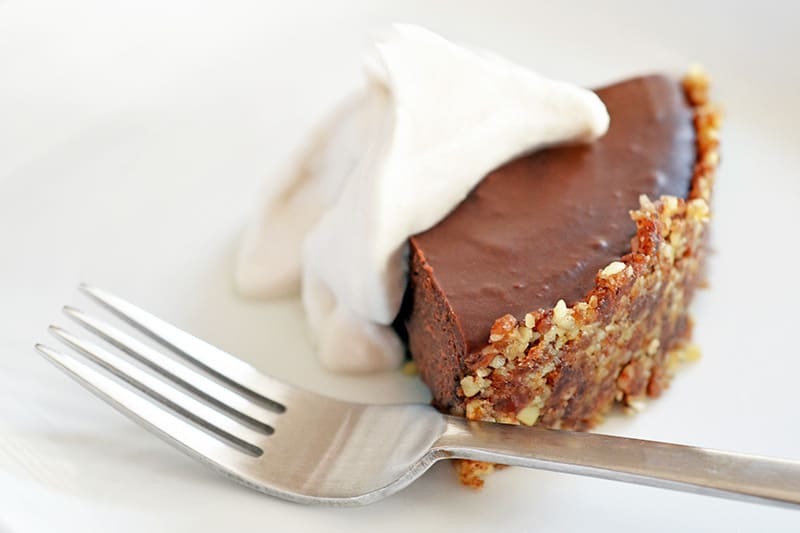 Kelly Brozyna's recipe is absolutely perfect for chocolate lovers and it's a cinch to throw together! 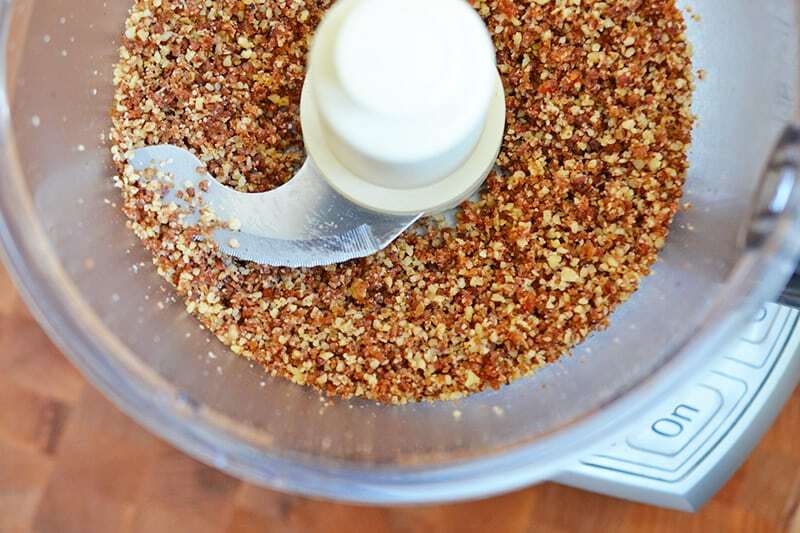 To make the crust, in a food processor with an “S” blade, purée the walnuts, dates, cinnamon, and salt for about 20 seconds or until very fine. 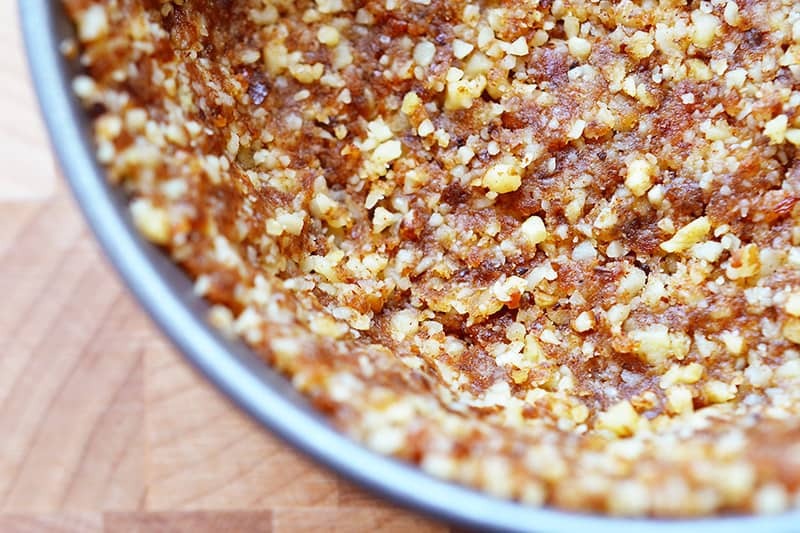 Transfer the crust mixture to a glass pie dish*, and press it across the bottom and halfway up the sides. 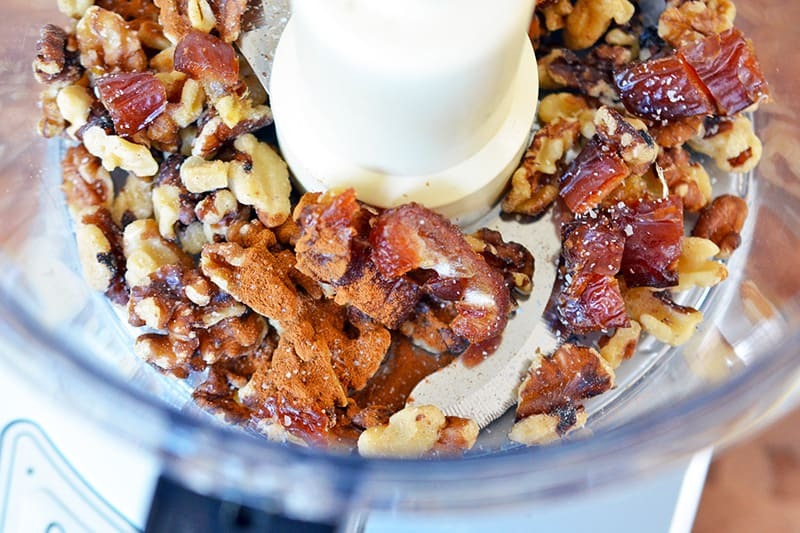 Add the heated coconut cream, dates, chocolate, coconut oil, and vanilla extract to the food processor, and purée for 1 minute or until the filling is dark and completely smooth. Pour the filling over the crust and chill to set. When you’re ready to serve the pie, top it with whipped coconut cream. 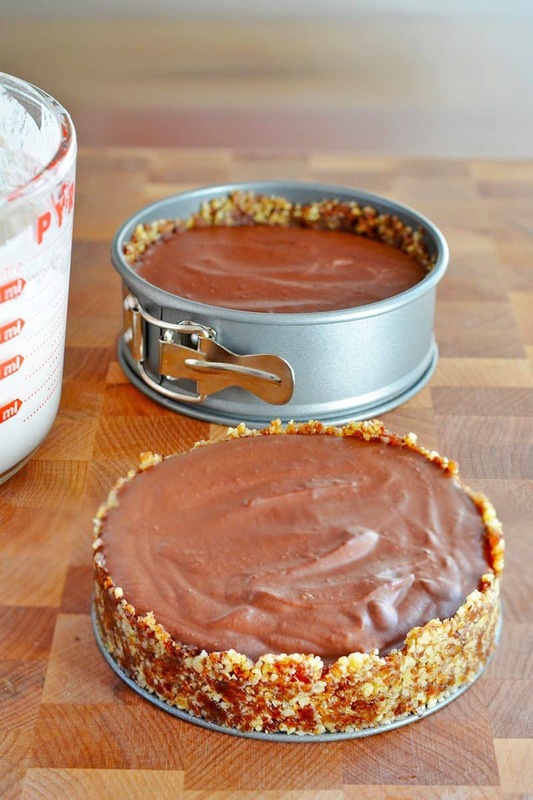 For the filling, use the cream at the top of a can of separated full-fat coconut milk. To get it to separate, refrigerate a couple of cans overnight.